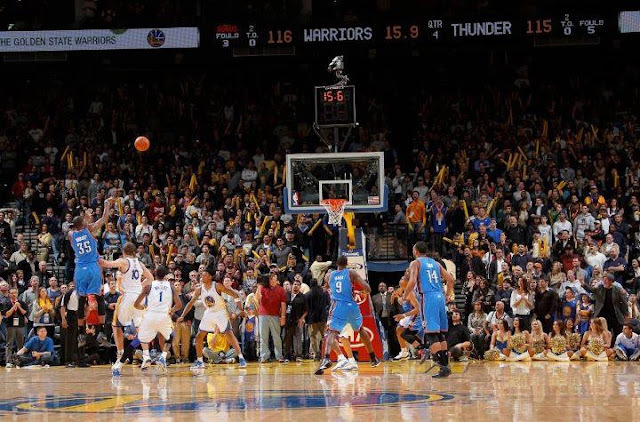 Years from now, when observers look back on this moment in Kevin Durant’s career, they’ll celebrate the fact that Durant was unanimously regarded as the second-best basketball player in the world. It’s not meant to be funny because playing basketball at the same time as LeBron James means that second-best is the highest praise a player could earn, and Kevin Durant has earned it without question. In the same way that Nadal and Djokovic will be remembered as playing at the same time as Roger Federer, in the same way that Karl Malone and Hakeem Olajuwon are remembered in comparison to Michael Jordan, Kevin Durant will be celebrated as the best player in the world if it wasn’t for LeBron James. After Durant’s future current-ranking has been established, observers will spend great lengths discussing how he symbolized a new era in the NBA. It is seen in his clothing style, his public relations skills, his AAU upbringing, his ‘point-forward’ position on the court, and more. In so many ways, on and off the court, Kevin Durant embodies the modern day NBA and the larger hip hop culture. 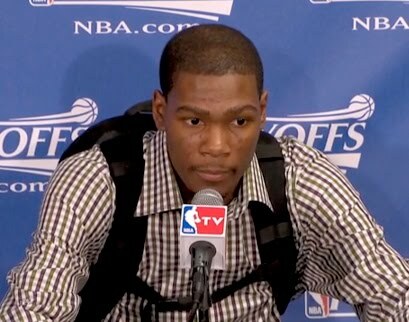 As much as teammate Russell Westbrook competes for attention to his ‘black nerd’ style, Durant first had the spotlight after games for his habit of wearing a small backpack to press conferences. Durant rarely mentioned the style accessory, but it emphasized a new movement in appearance and attitude in the NBA. The backpack will be remembered as the symbol of a larger transition in professional basketball, from bad boy to nerd, from hood heroes to pop culture celebrities, obsessed with positive public relations on a mass scale. Not only does Durant handle public relations like a seasoned veteran, but he does so in the new era of Twitter. To give context, Kobe Bryant (10 years older) opened his first twitter account on January 4 of this year; meanwhile, Durant has been using Twitter for years. In an era when celebrities are more available and more scrutinized than ever before, Durant will be remembered for the way he made it look easy to tactfully navigate the personal and public realms in social media and on television – a claim that LeBron James cannot share. What truly sets Kevin Durant apart from everyone else, however, is how he makes it look effortless to score buckets on the court. One writer sums up how it feels as a fan to watch Durant play offense: “I feel most of the time like Kevin Durant is a birthday present from the god of basketball to me personally.” More than anything else, when observers look back on this moment in Kevin Durant’s career, they will remember him for his ability to score the ball more easily and more often than anyone else in the world.